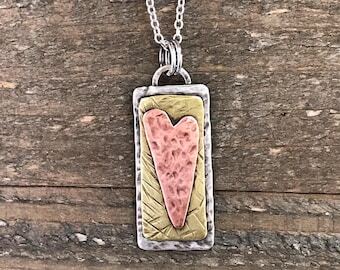 This necklace is made and ready to ship. Just choose what length of necklace you would like at checkout, and it will be shipped within two days of the order being placed. 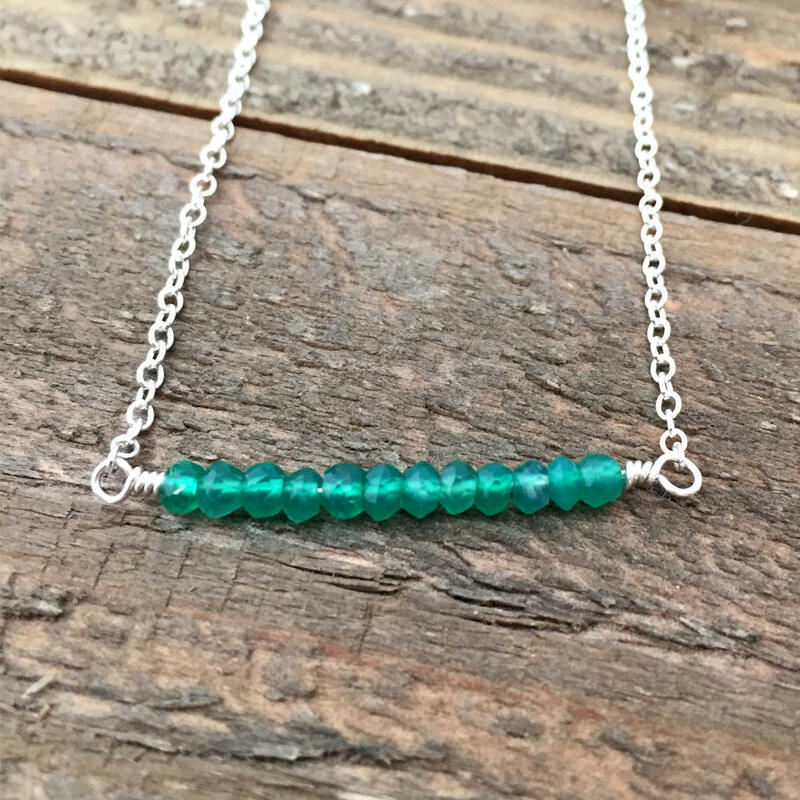 This sterling silver gemstone bar necklace is simple, yet beautiful. 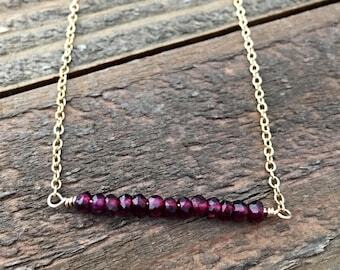 This is a delicate gemstone bar necklace and is perfect for layering. The gemstone bar is created from small green onyx gemstones and is wire wrapped with sterling silver wire. It is on a sterling silver cable chain with a lobster clasp. Please choose the length of the necklace you would like from the drop-down menu. The gemstone bar measures approximately 1 1/2 inches long.